Croatia - could they go all the way? Looking through the history books in previous World Cup tournaments, the eventual winner of the tournament often brings something new. Look at Germany last time around, who blended an attacking trio in their forward line including the likes of Mesut Ozil and Thomas Muller, whilst also embracing an attacking full-back formation on the wings. 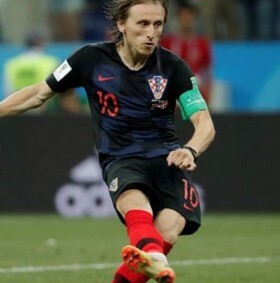 Croatia this time around bring a side with incredible midfield talent in Ivan Rakitic and Lukas Modric, both of whom command the midfield for Barcelona and Real Madrid respectively. Add to that the tried and tested striker Mario Mandzukic, who has played for some of Europe's top sides, Croatia look a handful in attack. Not forgetting that the Croats can also call upon Ivan Perisic and Mateo Kovacic in midfield, it's no surprise that Croatia have been installed as favourites to win the tournament. What's even more impressive about this Croatian side, is that their best players are coming into the prime of their careers. Modric at 32, Perisic at 29 and Rakitic at 30; they have the experience and depth in their squad to push for success in Russia. Even more telling is the fact that Croatia have also landed themselves in a comparatively easy side of the draw; with a game against Russia on the horizon. From there and should Croatia emerge victorious, one of England, Colombia, Switzerland or Sweden awaits before a journey to the final. It's no surprise that Croatia are amongst the favourites to win. If Croatia can beat Russia in the quarter finals, this will give them with a wonderful chance to go the whole way and win the country's first ever major showpiece tournament.